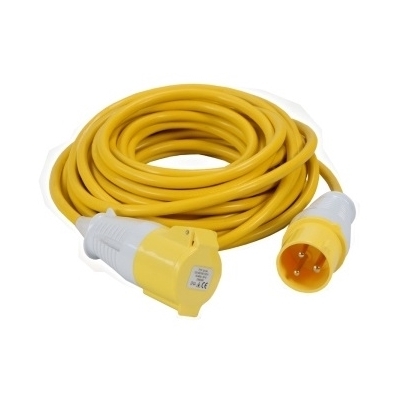 Extension lead rated at 110V with a 32A plug. Cable length of 14 m and thickness of 2.5 mm. 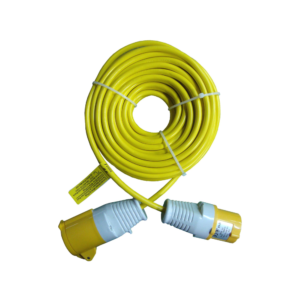 Cable is yellow in colour and is designed to arctic grade BS 6004:2012. Plug is designed to BS EN 60309. The lead also has a 32A coupler to BS EN 60309.